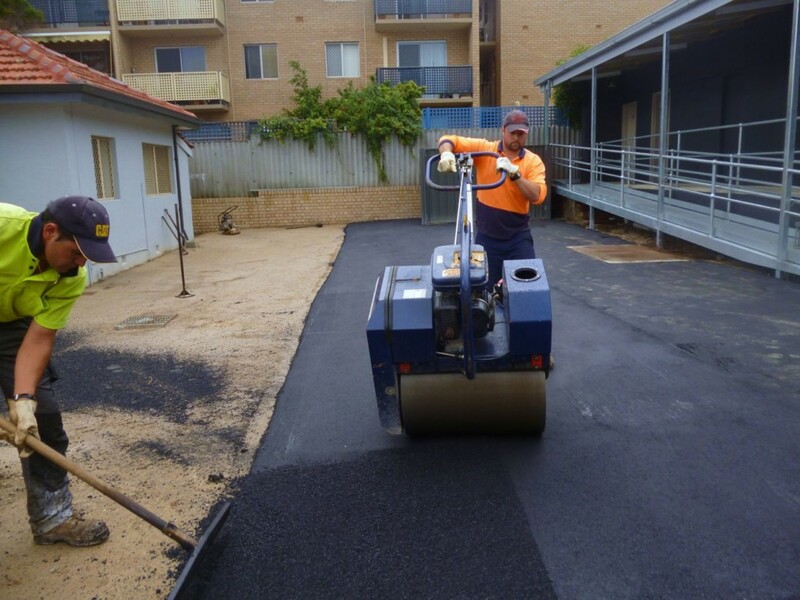 Asphalt resurfacing, sometimes called an asphalt overlay, can boost the appearance of your driveway or car park and ensure it lasts for many years. For most traffic areas, there comes a time when repairing by filling potholes reaches its limit. This is when resurfacing should be considered. It’s a cost-effective alternative if the quality of the existing surface is still suitable. Claremont Asphalt will assess your current surface and recommend the best approach, regardless of the size of the area. Filling of pot holes and low lying areas- over time as the driveway / car park ages pot holes will form, areas will subside ( rotting tree roots, collapsed soak well lids etc). Prior to resurfacing we attend to these areas to ensure a level finish. Mechanically sweep and apply tack coat- Prior to resurfacing we remove all lose materials by sweeping the area with a mechanical sweeper. Tack coat is a binder that ensures the bonding between the old and new asphalt layer.